Four masked men have a man and his family held hostage. What's the best and most silent way to bust in and make sure there are no casualties in the process? Obviously bring down every last square inch of the structure with bullet fire and explosions. There's no way he and his loved ones will be injured or crushed in any way. That's what Rainbow Six: Siege would have you believe. Never mind that you can't see who's standing on the other side of the wall, and never mind that you might put a bullet through the head of the person you are trying to save. Bullets are a wrecking ball in this game and guns are the crane. It is so stupidly over-the-top that I can see why it was such a hit at E3 this year. On a more global theme, all three of our big AAA shooter franchises have been scaled back from their normal settings this year. Activision's Call of Duty, EA's Battlefield, and Ubisoft's Tom Clancy's Rainbow Six were once all about the elite soldiers of our times fighting patriotic wars against terrorists. Now, we have a science-fiction shooter trying to rip off Titanfall, a heist game trying to rip off Payback, and a SWAT game that is original in its setting but still just a squad based first person shooter. What happened to the modern warfare setting? Did we finally get sick of it? I guess so, because game developers have sent war into the future or into our streets and living rooms. Any love for Rainbow Six: Siege? I haven't really played the series since Vegas back at the beginning of the previous generation. Last I checked, that was a great game. This one sacrifices the cover system and squad commands for a more simplistic Call of Duty approach it looks like. Not really my cup of tea, but at the same time, if told I had to play one of three incoming shooters, Rainbow Six: Siege might be it. I'm still more intrigued by Tom Clancy's The Division than any of them, though. 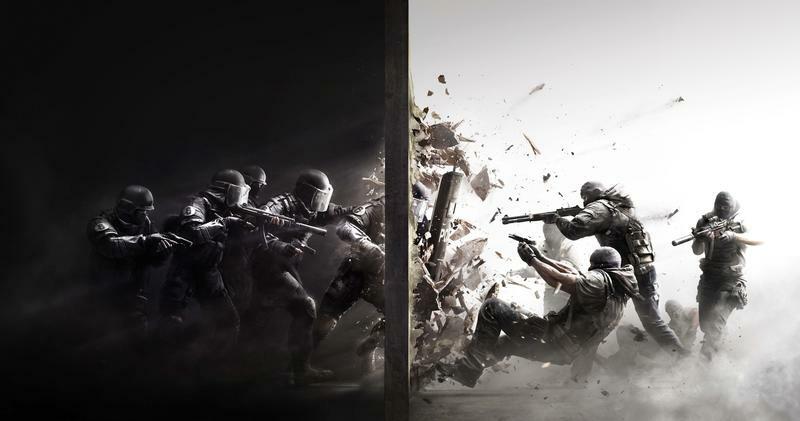 Tom Clancy's Rainbow Six: Siege will be released for the PC, Xbox One and PlayStation 4.